My life of cyber detachment all began after a trip to the doctor’s office to discuss the onset of migraine headaches. While I joked regularly about my headaches with my husband, making comments about my personal diagnosis and impending death, I truly did not think these were related to anything substantial. I figured it was stress. I am a fulltime student, who works fulltime and often volunteers part-time—this along with my many other roles in life, I expect to be stressed occasionally. When I started experiencing headaches, I did not think much about them. That was until other symptoms occurred with these headaches. As I lay in bed one evening, experiencing a headache, my husband kissed my forehead. With a surprised look, he informed me that I was burning up. This occurred on more than one occasion—before I knew it every headache was accompanied by a fever. I finally went into the doctors. It was here I was informed they were going to run every possible test and send me in for an MRI and later a CT scan. I was informed at the time that they were checking for bleeding and/or tumors. While this was stressful and a bit scary, I was pleased that my physicians were taking my headaches seriously and ruling out all possibilities. After all the tests were complete, I was cleared of any major issues. However, I must endure a few more tests and manage the outcome which has been a complete mixture of ailments—the perfect storm so to speak. While the outcome was a huge relief, the entire process made me want to change certain aspects of my life, especially as the impending couple of weeks led to numerous other stressful events. Within a short period of time my husband was rear ended, my youngest daughter became very ill (she does not have health insurance either), there was a loss in my life and we had to endure a huge financial setback from another issue. With a life in chaos, I just began to close all the doors to a cyber existence which no longer seemed to reflect any reality or provide any solace. I started with shutting down my Facebook page. Within a week, I was surprised at the amount of time which this created and the lack of stress which I endured from not being “connected.” I found all of the people in my life that mattered (loved ones, friends, etc), were quick to make contact with me or vice versa. Then I slowly shut down all of my other accounts. I said goodbye to Flickr, Pintrest, Skype, Yelp, Blogger, Stumble Upon, LinkedIn, and Tumblr. I deleted a majority of my online subscriptions, which included Groupon, Seattle Weekly Coupons, and Living Social. None of this was easy, but it was completely freeing. Now that the initial shock and withdrawals have subsided, I am content with this new life which involves reading books (not just textbooks), hanging out with my family or friends, and most of all being able to participate in artistic activities again. 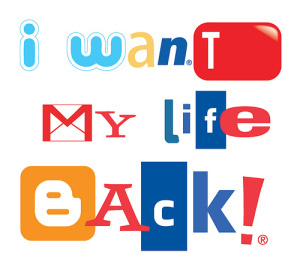 In looking back I could not believe how much of my life was being dictated by social media. In my virtual world life was peachy keen. Yet reality told a different story. Not only was I spending roughly 4-6 hours a day on some social media site, I would do so to my own detriment. Getting behind on school work or being completely distracted with Facebook while being engaged in some other activity, or worse staying connected while trying to actually socialize (with real people). In the end it was exhausting and completely unfulfilling. While I have come back into the cyber-blog world, I have opted to stay away from other areas of social media. No more personal Facebook pages and Google+ accounts, or the likes. No more hanging out on my email all day and being available for IM chats. At one point I went as far as to say I wanted to cancel my cell phone and stick to chatting on landlines, but my husband nicely informed me that this was the line. I agree with the latter. While I am thrilled to be blogging again, I am more excited with the numerous opportunities my disconnected lifestyle has provided. 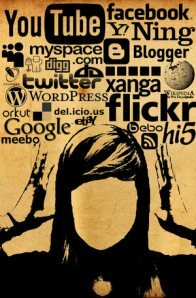 This entry was posted in computer, Current Afairs, everyday life, Techmology, Uncategorized and tagged computer, computer making us retards, drawbacks of facebook, food, funny story, games, harsh realities of society, harsh reality, lifestyle, story of a girl, story of facebook, technology.